﻿ Web Design Place designs Online Stores with ecommerce capabilities with multiple Add To Cart Button options. Our experienced webmasters can design an online store for most Santa Clarita businesses. We also serve Palmdale, Lancaster, CA and the entire Antelope Valley. Web Design Place will design your web site for credit card processing for your specific needs. 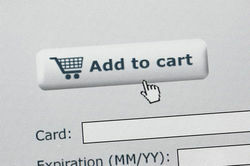 Buy buttons, AKA, Add to Cart buttons can accommodate a diverse line of products. Web Design Place provides its clients with secure credit card processing using secure encrypted technology for such transactions. Credit card number and information is encrypted with high technology software as it passes through the digital highway toward processing. 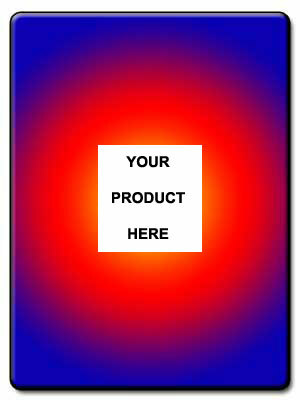 Your products can be on the Internet accepting credit cards, Google Wallet and PayPal in weeks! With Web Design Place of Palmdale, we can make you appear to be an experienced ranked company while you run your business out of the trunk of your car. Small business can expand their product line, branch out to larger markets to larger regions, nationwide and worldwide. Let us present you with some statistics that will convince you that NOW is the time to acquire an online store. Foremost, in July 2000, Cyveillance, an Internet consulting company, estimated that there were 2.1 billion unique, publicly available pages on the Internet. Cyveillance states that the Internet grows by 7.3 million pages each day, which means that it doubled in size in early 2001. And as of June 2012 about 274 million people--79% in North America. population--have home access to the Internet, according to www.internetworldstats.com. That's increate of 153% over 2000. The figures represent an increase of 35% over the 104.6 million people the company reported online at home in July 1999. Online retail sales for 1999 were estimated at $66 billion. Worldwide Christmas/holiday sales are forecast to be worth $19.5 billion in 2000. 1999 online holiday sales hit $7 billion (customers who shopped between November 1 and December 31, 1999). Total online sales for 2012 is project to be $219 Billion according to US Dept of Commerce (PDF). Web Design Place would like you to part of these statistics. Our staff can make it a reality! The below option fields used for standard electronic commerce online stores. Your product's size, color, cost, and any other options suited to your product can be designed to accommodate your specific needs. The variables are unlimited. Please click the 'Add To Cart' button above to send you to an active shopping cart programs and credit card processing setup. Please don't fill in the credit card application unless you want to purchase gymnastic mats. This is just to demonstrate the ease in which your proposed online store can function. A merchant account with a secure socket layer (SSL) will cost an extra $345.00 or you can lease it for about $40.00 a month. 1. The pay via credit card shipping balances. 2. To pay via credit card for products that are not on our web site. 3. To pay via credit card for custom orders that do not have Add To Cart buttons.